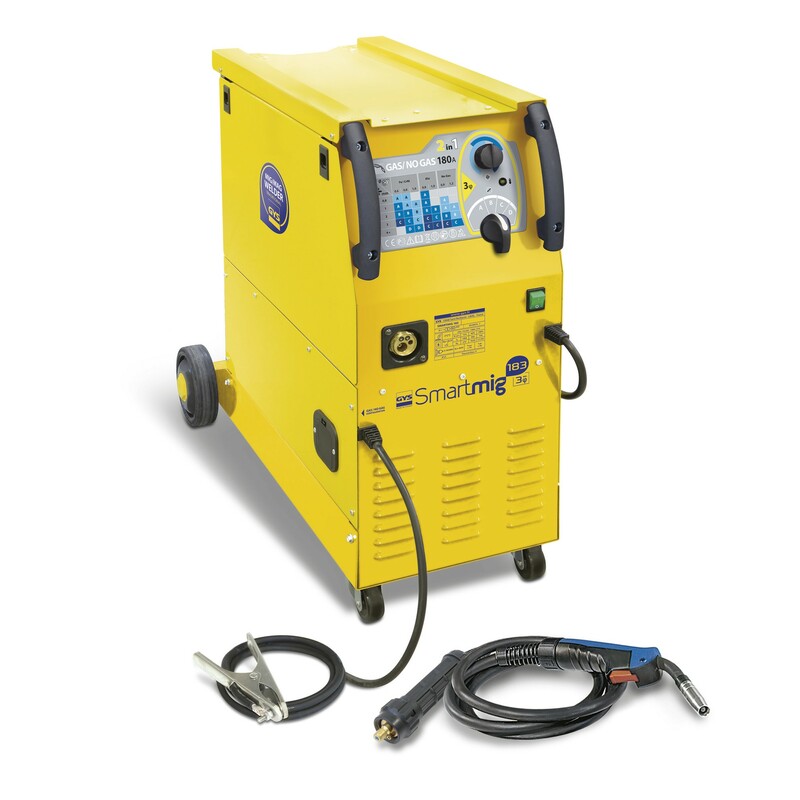 Single phase full size MIG/MAG welding unit. Ideal for general workshop use. Perfectly suited for non intensive work for assembly, repair maintain steel, stainless steel or aluminium section or sheet. Easy to use intuitive « SMART » control panel. 2 IN 1 Ø 0.6 - 1mm wire. For outdoor welding with a Ø 0.9 – 1.2mm wire. Supplied with 150A torch (length 3m).Euro torch connection for easy wire and liner change. Powerful 40W motor for a smooth and constant wire speed. It can be used on a 4,2KVA generator. Ideal settings are indicated, just select the type and diameter of wire used, then the thickness of the metal. The SMART control panel makes it easy to set the voltage (4 positions) and the wire speed.